I had high hopes for the Hasselblad XPan-ii, I genuinely felt that it had the potential to provide me with a unique perspective, that it might challenge my framing, enable me to shoot frames that felt cinematic, and even give me a sense of medium format photography with 35mm film. Actually, it did all of those things on the odd occasions I used it, the problem was, I hardly ever picked it up. Gear acquisition syndrome is a funny thing – I once created a somewhat tongue in cheek GAS horseshoe diagram plotting its various incarnations in a bid to help explain my opinions around it. One of the types of GAS I defined was what I called Curiosity GAS – the specific symptoms of this type of GAS boil down to buying something out of pure curiosity, then selling it after you realise it is completely impractical for your needs. I also define Delusional GAS which is based around the idea of buying a piece of kit under the false illusion that it’s somehow going to positively impact your work. For me, the purchase of the Hasselblad XPan-ii fit somewhere between those two points on the horseshoe – which is why ultimately, 18 or so months down the road, I’ve just sold it. Along side it’s elder sibling the Xpan, and of course the Fujifilm equivalent TX-1 and TX-2, the Xpan-ii offers a unique shooting experience. This uniqueness is defined pretty much solely by its format. 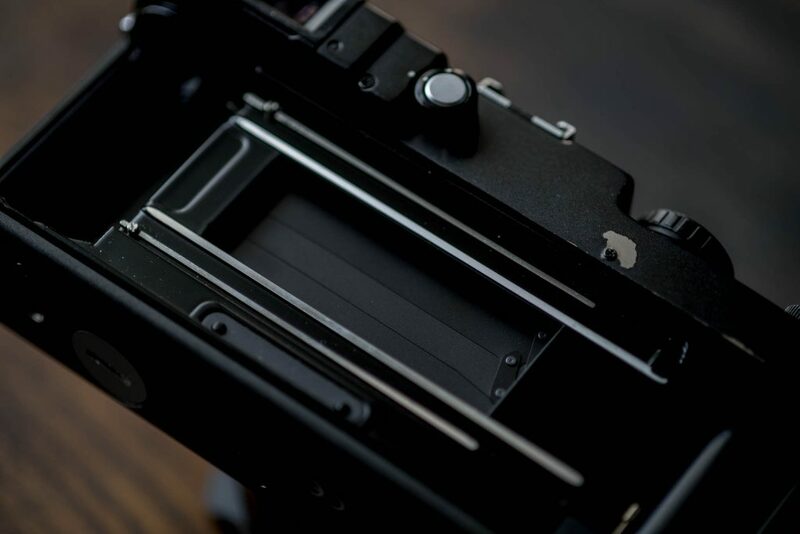 It shoots normal 35mm film, but rather than the conventional 24×36 frame, its gate is 24x65mm. In laymans terms it shoots “panoramic”, or more accurately “wide aspect ratio” photos. I shan’t go into all of the technical details of the camera to much, but for saying it’s a manual focus, aperture priority rangefinder camera with full manual overrides. The Xpan-ii’s big advantage over the earlier Xpan is supposedly the shutter speed readout in the viewfinder (which I personally found indispensable). It’s disadvantage over the original is the lack of physical dials for setting the ISO and under/overexposure. It’s always struck me that the original Xpan looks easier to use, since both those features are locked in clumsy menus on the Xpan-ii. But, since I haven’t tried one, it’s hard to comment specifically – though even with the dials, I’m genuinely unsure how I would have managed without that shutter readout. Possibly the least appealing nature of all of these cameras is their reliance on batteries. 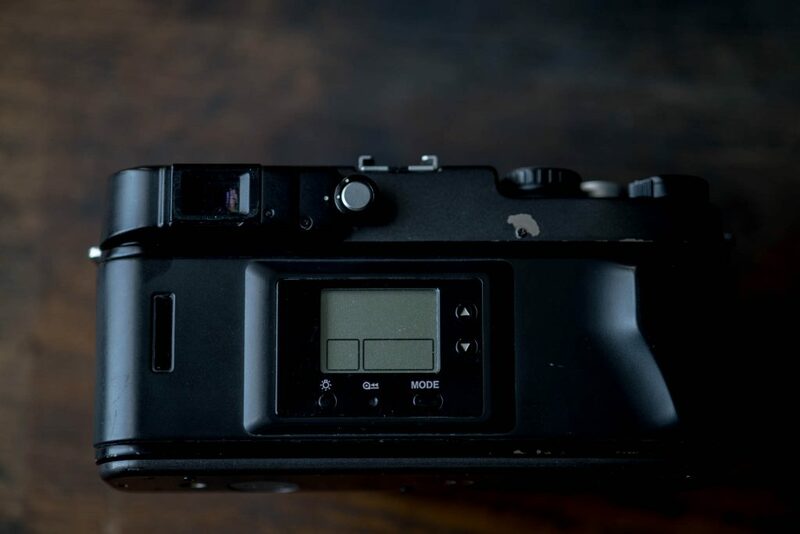 I’m not wedded to fully mechanical function, but as these particular cameras age, it’s my feeling that their nature poses an ever increasing risk of heartbreak – especially given their ever increasing value. That particular concern aside, my experiences with shooting the Hasselblad Xpan-ii were technically speaking largely positive – at least on a basic shot by shot level. Once I got my head around the fairly simple metering pattern, I found the automation to be akin to using an M7 which made it feel comfortable and familiar if nothing else. What wasn’t familiar was the wide frame, or at least it wasn’t familiar to the feel of a rangefinder. I actually don’t find framing in a wide aspect ratio difficult at all. The same rules apply really, and if you’ve watched enough films, and found yourself (like I quite often do) commenting on the cinematography, then you should find yourself at home with it quite readily. I’m a big fan of Wes Anderson films, his work with Robert Yeoman is just wonderful. I had images of buying an Xpan-ii and capturing some of that feel in my framing. I don’t think I was entirely unsuccessful either – though clearly in these frames I only embraced the framing and not the vivid colours of Anderson and Yeoman’s work. But, looking at the dates on those images, I realise it’s been 18 months since I was inspired to capture something of that look. Since then, on the odd occasion I’ve used the camera I’ve fallen into the “landscape trap”. I was even warned this might happen by my pal Marco North. He warned me off it, he challenged me to challenge myself with this camera, and frankly I didn’t – not past the first roll at least. The problem was, I just never jelled with Hasselblad Xpan-ii – I had idea that we would be a natural partnership, and we just weren’t. I found no issue using it really, as mentioned it felt familiar, functionally (outside of the clumsy menu) it was fine to use, and I only found myself with one or two underexposed negs on the first roll – after that I had no problems. This puzzled me for quite a time. I expected to want to use it, then never picked it up. I took it on holiday last year and didn’t use it at all. In fact in the last year (nearly) I’ve only used it once when my sister in-law asked if I could take a panorama of her near by countryside for her wall. “Yes”, I said enthusiastically remembering I had the perfect camera. Ironically, it was this enthusiastic moment that put the nail in the coffin for the Xpan-ii. I realised I had the perfect camera for a type of photography I wasn’t really that bothered to use it for. I like landscape photography, but I don’t like it enough to have such a valuable camera dedicated to a specific format of landscape photography – I’m certainly no Peter Lic!! It was at this point I realised I’d never had the thought to pick it up in all that time to use it for what I’d originally bought it to use it for. The unfortunate reality was that it had been little more than a novelty that had worn off, and actually it had worn off rather quickly. I’ve tried to rationalise why this novelty wore off. Perhaps it was down to the fact that the aspirations I had felt so derivative, and in that they somehow lacked depth. Perhaps I was trying to buck against my own growing style and shooting desires – I’ve spent a lot of this same period fascinated with Zeiss and Sonnar lenses, the Xpan-ii offers neither of these things. Or perhaps it was simply down to the camera not being right for me, or more accurately it not being quite right for what I wanted to achieve. To be honest, I’m not sure myself. But there are shortcomings with the camera that I can isolate as potentially not helping the situation. I should emphasise here, if you’re looking at buying one of these cameras, it’s perhaps not to wise to read too much into this, as I do wonder if really all I have done is attempted rationalise and find reasons not to like this camera. But for me, I think the three biggest sticking points were the speed of the available lenses, the cameras size, and what – I did or more accurately didn’t do – with the results. Where I’m quite comfortable criticising the Hasselblad Xpan-ii is for its size – this is after all supposed to be a blog about small cameras, and small camera are pretty much all I shoot with. I don’t really like carrying and shooting large cameras – almost regardless of how good they are. Unfortunately, there’s little way around it – despite the lenses doing a great job at helping it pretend to be small, it’s just not. It’s heavy too. I believe this was most likely to be the single greatest reason I never found much of a desire to just carry the Hasselblad Xpan-ii for just the sake of carrying it. Ultimately most of my photography – my personal photography at least – comes from just carrying a camera and finding photos. This simply wasn’t going to happen with the Hasselblad Xpan-ii. In short, my lack of desire to shoot the Hasselblad Xpan-ii largely came down to its large size and it not feeling quite fit for my specific purposes. My desire not to keep it came down to my personal failing at using it for what I originally set out to use it for, it being far to valuable to keep just for the type of photography I ultimately did use it for, and my lack of desire to be pushed into printing images by a camera’s native format. That all said, I strongly suspect that the millage of others may vary. Really, I have to admit that the Hasselblad Xpan-ii is a stunning camera that when combined with its incredible glass (or even a Nikon shift lens) is capable of producing really quite incredible results. Yes, the menu system is clunky, but (and this is a big deal for me) I forgave it this because it’s offer was so unique. I think most people would feel the same too… assuming it’s electronics didn’t fail that is! My advice to anyone looking to buy one of these – especially now their value is so high – would be to know exactly what you want to use the camera to achieve, stick to that goal and print your images. Don’t do what I did and let it be a rarely used shelf queen for 18 months – The Hasselblad XPan-ii deserves more than that! Thank you so much for this article. 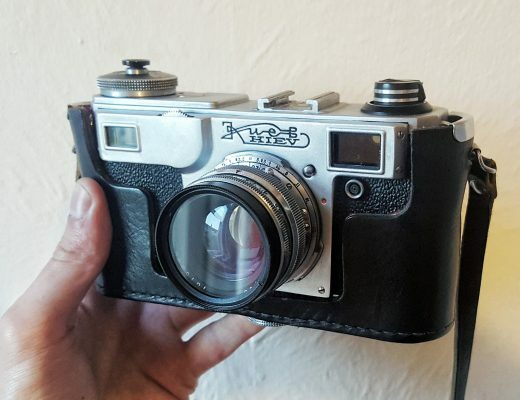 I too suffer guilty feelings for owning and selling my XPan – something that seems opposite to conventional wisdom. For some reason, even though it was technically excellent and lined up well with my landscape shooting preferences, I could never comfortably engage with it (I’m not even totally sure what that means other than I definitely didn’t fall in love with it). It did, however, leave me with one excellent image of my son and his opponent taking guard along a fencing piste that lives on the wall next to my desk. Hi Allan, I didn’t think for one minute I’d be the only one. In fact, the chap I bought it off has just reminded me he had similar feelings. I’m pleased to read you got a nice print for your investment of time though. I really must print off one of my landscapes – I really like a few of them! I didn’t sell it. In fact once being in need I had to choose between selling the M7 or the Xpan, and I did the first one (later I could get it again). You point out well the disadvantages. Bulky body, slow lens, no viewfinder mettering in my case, rather odd format for screen display (the vertical version fits really well), battery absolute dependence. Perhaps at last it’s just a personal choice. I shot many many rolls for years. And feel very glad watching all that work, … and enthusiastically burden that weight every time I put a roll in. The reason I keep it, if that helps, is that it brings a definitely new vision. It bought. Not to my photographs, but to my eyes, to my brain. You have to fill all that space. At first resembling suiting only for landscapes, but it does also for close ups. Finally, you don’t mentioned the standard format. It makes photographs not worst the M7 does, if not better. I bought my Xpan about three years ago and have shot close to 60 rolls of film with it. I find I’m using it roughly every other week. The important thing is that of those 60 rolls, 25 relate to one long term project, 15 to another long term project, 10 are landscapes, and the rest are randoms / test rolls. I really don’t think this camera works as a walk around / aimless shooting / random shots camera – if you take that approach you just end up with images that look like you were trying too hard. You need to find a project or two that work with the format and concentrate on those. For pure landscapes i’m unconvinced. I think that’s largely because I find landscape photography incredibly boring as it’s been done to death and then dug up and killed again (unless it’s intentional incredibly boring as part of the message), and the panoramic format adds nothing. If you want to shoot landscapes go get yourself a 4×5 or 8×10 and wait for the light. Part of me being unconvinced is that you need to print landscapes from this camera big to have any impact, at least 100cm on the horizontal. Send me an e-mail and i’ll send you a link to some albums, as none of it is public and probably won’t be for a long while yet. I own one of the original versions. I agree with everything you say but have not sold mine off……yet. I think it might have been a much better choice had I acquired this camera early on, say,…..as my second camera. I was reviewing some files the other day and came across one that I could not remember taking with the X-Pan, but was fairly certain it was an X-Pan negative scan. It turned out to be a 21mm (VC, LTM) image I taken with one of my Barnack Leicas and had cropped. It looked pretty good. Good enough for my purposes. I am not going to pull the trigger on selling it until we go through the coming winter season. I am going to make a point to carry it with me on at least one photo specific outing. This may sound strange, but I find I do not mind carrying larger cameras in coat weather: they seem less of a presence when I am already wearing ten pounds worth of clothing and boots. You do not mention the standard 35mm framing option in your writing. I think this adds a bit of versatility that may make the X-Pan an ideal camera….for those times when a big, heavy camera are less of a bother. I would offer, to anyone contemplating X-Pan: if you only have one 35mm rangefinder, and just a few lenses; feel that the panoramic view is something that will really, and frequently add to your photography, consider the X-Pan a great and capable choice, allowing you to leave your 35mm rangefinder at home (without giving up possiblity of the 35mm format) when you know there is going to be great opportunities for nice panoramic photographs. However, if you, like me, already have an extensive collection of gear, e.g. wide angle lenses or some great, old 6×9 folders, the X-Pan really does not present any capabilities you do not already have in your present gear hoard. OBTW: When I purchased my camera it had a few issues around worn manual control dials and rangefinder alignment. I was able to get the thing serviced by Hasselblad. I do not know for how much longer, but Hassy has not yet abandoned the model. Thanks for the additional thoughts Wayne! As it goes, I know what you mean about winter weather and bigger cameras. Interestingly to know that Hasselblad still support them too! I too bought an Xpan, didn’t get on with it like I thought I would, let it sit on the shelf with minimal use, and finally sold it. No regrets. I’m glad I got to try it, but it just wasn’t for me. I did very much enjoy shooting it extensively during a trip to the Rocky Mountains! Have you a link to those photos?? I finally ended up with an Xpan – after meandering through some other gear. I really like shooting panoramas, something I do for years with different digital cameras (I think I started this with an old Nikon Coolpix 950 several years ago) and this got me. Having pictures with a lot of details which are wider than usual is something great and I have a few images hanging on my wall printed to a size of 1,20m, which is really great. However, shooting digital panoramas is not always feasible, especially when you think of people or something that moves. I started the journey into film based panos with a 6×17 back (go big if you can 🙂 ) for my 4×5″ camera, but this was another bulky attachment to the big camera, so I never used this a lot. I then progressed to a used Gaoersi 6×17 (I still like the format and the aspect ratio, and there is nothing like putting such a slide on the light box) and have used this camera quite some time and did a lot of rolls of film with it. But still: This thing was big and heavy and using it free hand is mostly not possible. I have to add here that I try to avoid using a tripod whenever possible. So I wanted something lighter and smaller, which can be used handheld in most cases. So I started looking for an Xpan, which seemed like the perfect fit here. Additionally I still had a big box of (now expired) Kodak Elitechromes (which I bought before going mostly digital on the small formats) which could be used (and which are still fine). So after I finally got hands on a good priced Xpan, I started playing around with it and I really like it. Some of the critics you mention is something I see as well, some don’t bother me. Not having the time displayed in the finder is annoying, but not enough to spend the extra money to get the version II. On the other hand also I like the dials of the I, gving me instant access to change stuff. 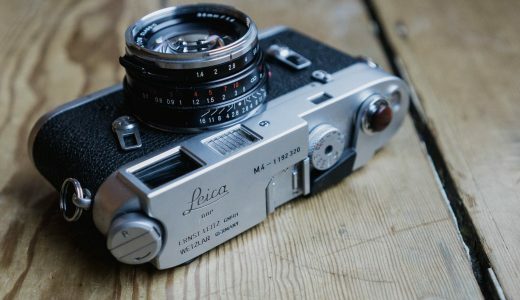 What really could be mechanical is the way the film is transported (here I would prefer something Leica would build) and the dependence on batteries – especially this type. The lenses could be faster, but would also be much bulkier then – these are some of the smallest high quality medium format lenses I know. Getting the images into the computer takes a bit of work, but my old slide scanner (who miraculously still works with a much newer version of Windows) allows me to take two scans which have a slight overlap in the middle which is enough for my panorama software to put stitch one image. Printing is also possible then. I like shooting landscapes, even if probably any possible shot has been done twice. I also like putting the Xpan in portrait mode or using it close-up. It really allows me to experiment and I won’t give it away anytime soon. Thanks for sharing your thought’s Chris – it certainly sounds like its much better fitted to your needs than mine! It was quite a journey – and I understand your feelings about selling the Xpan well. I haven’t sold the 6×17 yet, but I know I probably should as I don’t use it anymore. In comparision the Xpan is “small”, or at least small enough to accompany me when I do travel for my work (together with a small canon), so yes, I think it is perfect for me. Beautiful images and writing Hamish. In the world we live in, the factor “how to display our photos” has become very important. Just think what instagram has done, almost forcing good photographers to shoot vertically. In this era, the enjoyment of using the X-Pan seems to have taken a hit. Hamish, thanks for the mention in this article! You know, I have a first generation Xpan, and I always use a light meter so many of the technical things that bothered you are not my case. As a filmmaker and cinematographer, working in the 1:2.35 format is often a daily experience, I am especially prepared to deal with a widescreen composition and avoid lots of obvious pitfalls. I also have a great iPhone app called “Hueless” (and its companion app “Huemore”) – they shoot tiff format images, and you can set the frame to …. you guessed it 2.35 wide. Having my iPhone as a sketchbook tool, a constant practice session for getting that 2.35 framing to work, it is a huge advantage. Those 20 shots on an Xpan roll, they go so very fast. I also agree with Lee J’s comments – this is less of a walking-around camera and more a tool for long-term, projects that have a specific scope – basically, a more formal usage. Last – I’ll make an analogy from my music life. We all have a favorite go-to guitar, the one we write songs on, the one we pull out to record with – it is “old faithful”. Often, nothing fancy or maybe a real gem, but it is the beast we know. Willy Nelson has been using the same guitar to play shows and record with for… decades! Let’s call that guitar the equivalent of your favorite Leica. So, you are going to record an album – you don’t want to have 8-12 songs that sound exactly the same, you need to change things up every once in a while – that’s when the 12 string Rickenbacker, or the big old Gretsch comes in – the guitar with a really specific, special sound – with the same hands playing it, the same voice. 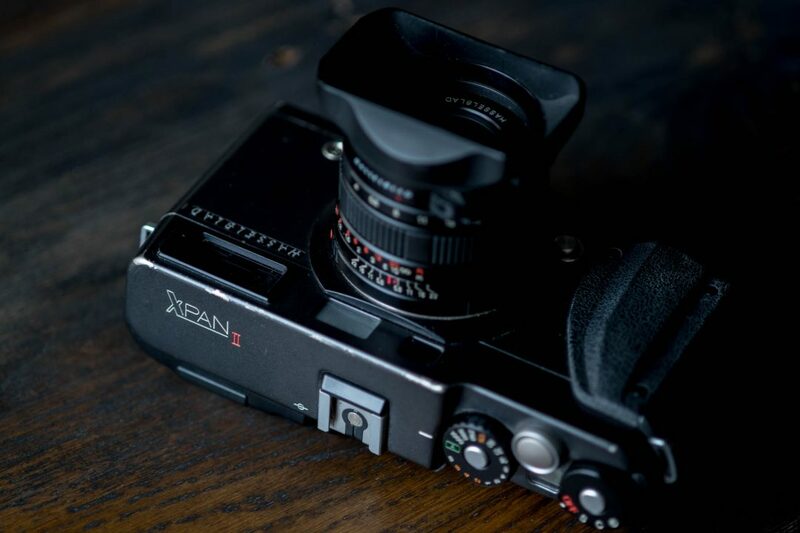 I hope this analogy makes sense – the Xpan is this camera, the special complement to your main one, the tool to pull out of the drawer at just the right time. It is the guest star camera, the celebrity pop-in. I think it is fantastic in this situation – it still has a kickass Zeiss lens on it! On the subject of 20 shots, I put up a blog post recently that shows how to get 22 frames on a roll. You’ll find the link to my site if you click on my name above and then go to the blog archive (first post of 2017). I’d post the direct link but the spam filter won’t let me. An Interesting read and good shots Hamish. I agree with many of the points you raise. The Xpan is the only film camera I own but I can already see it becoming niche camera for me. The ability to switch to the 35mm frame makes it very usable but the size of the camera means I would never casually carry it around. Not really a bad thing but for me its best used for for projects. But i can see me hankering after a smaller body film camera as a carry around as well. I can see why people eventually decide to sell as panoramic photography will probably never be the main event for most people and its an expensive camera to justify keeping if its not getting regular use. The Wes Anderson inspiration made me go back and take a look at some of his film stills. Lots more room for detail and context in the panoramic frame thats for sure. Thats part of the appeal to me. I don’t seem to have seen a huge amount of interesting colour photography using the Xpan, or maybe i’m just looking in the wrong places. It’s definitely an area I want to explore. My little Xpan adventure is on hold while I wait for the replacement to make it through customs from Japan. But hopefully soon I will be out shooting a few more rolls and will post my first steps in film! Thanks Nick – I’m really looking forward to your post. I thought of you whilst writing this actually… very interested to see how you get on. Thanks Hamish. Will probably be next week now before i get it. I actually ordered a just serviced TX-1, even with the import duty it was considerable saving on the Hasselblad badged version. Might be a few weeks yet as I’m going to France on holiday although I do intend to take the TX-1 though! As an aside I did consider buying a medium format camera and cropping the pictures but i’m glad i didn’t as for me the magic of it is seeing the panoramic framing in the viewfinder. Thanks for the Flickr link Chris… good stuff! Thanks a lot for this honest and clear description of the time you spent with this camera ! I almost bought one a few month ago but money at this moment held me back and since I’m looking for a relative same experience (I mean in a wide framing) but cheaper. Owning already a bronica etrs with 3 lenses I was tempted with the 135 wide back wich give a 24×54 on 135 roll. So I’m just asking if you ever had any experience with this setup and if yes what are you feelings with it ! Thanks for a fair and honest review of your feelings towards a niche camera. I’m an Xpan owner, bought on a whim when suffering a particular bad period of GAS (not the intestinal variety). I was initially overjoyed with my new and novel camera, I rattled off a few rolls of film. The images were mediocre at best but didn’t deflate my new found enthusiasm. As time progressed I became more and more frustrated with the camera, the high hopes I had for my spectacular panoramas failed to materialise. It sat for a while on the shelf and I contemplated selling, the money could be used for different camera stuff, there’s no shortage of things I would like to buy. However I felt that I wasn’t trying hard enough and if I want to get better in photography then I need to challenge myself and try different things. I hate to think of myself as a quitter. What helped me get motivated was buying a few second hand books of Amazon by the Photographer Horst Hamann, he specialises in vertical panoramas. It gave me the inspiration to look at the panoramic composition differently. In addition I’ve started to build a website specifically for my Xpan images in order to give me an outlet for my efforts. It also helps to encourage me to get out and get new content. All in all it’s a challenging camera that will disappoint more than it will impress. However when you do get a good image you will immediately forget the other 19 poor ones form the roll and rush out to take more. Thanks for you thoughts, Ben! I’d be interested to see some of these verticals, if you could like to them? The sites now live and I’m in the process of uploading images as I scan them. There are two galleries, horizontal and vertical. I hope that it shows panoramas don’t have to be huge expanses of country side, they can be different. For those who want to be challenged, this is the camera to have. Interesting review. I had an X-Pan, the first one with the 45mm. Had because I traded in for I’m not quite sure what…however a nice camera but never liked the finder and found that I could achieve the same results with a Mamiya 7 and the 135mm adapter which allowed me to shoot 35mm film. Then again, you have a Mamiya 7 and starts wondering why using 35mm film when you should really use 120mm film and then crop your image if you want. Life is short and too many cameras to try. As someone suffering from curiosity GAS I’ve always been really drawn to this camera despite the fact I could probably never afford it. This article definitely confirmed my doubts about it and the fact I probably couldn’t print the pics in the dark room properly is a huge turn off. However if one came along at the right price who knows…. I have been shooting with a TX-2 since 2008 or so, and it really is my favorite camera. I shoot with 4×5, Hasselblad 203FE, Leica M9 and M7. Love the pano format, especially its underutilized in documentary work. I have shot multiple hundreds of rolls with it. 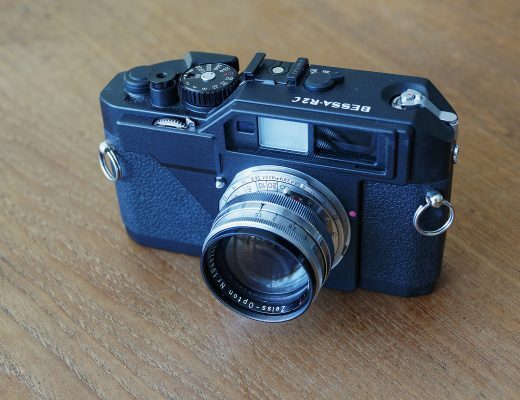 The funny thing is, judging from your photos on this review, you really have a good eye for the Xpan format. It’s too bad it didn’t jell with you. I have an entirely different problem… Greed. An original xpan in the condition mine is in is now worth DOUBLE what I paid for mine. I have been considering going back to being a hybrid shooter and with the money I could sell the xpan for I could buy an X100F, an M6 and a voigtlander lens for it. I would miss the Xpan but would I miss it enough to offset the joy in owning 2 fantastic cameras like the X100F and M6? Currently the camera sits in my dry cabinet unused with the excuse of not wanting to put any more wear on it before I sell it. I am afraid if I pick it up again I will fall in love all over again and keep it. Not the worst outcome if I am honest. I want to buy one after reading all this! Hamish, I agree with all you have written about the wonderful XPAN. I bought “1” version about 1998 before I went digital. My first problem was finding a lab that would print a roll of film at a reasonable price. Later I solved this with a Epson 4870 and later a V700 scanner. I did find the standard 45mm and my 90mm a little restrictive but I could not justify buying the expensive 30mm lens which needs an accessory viewfinder. I did however take quite a few images which I really liked. There was also the need to buy a very expensive $500 “centre ND” filter to even the exposure over the very wide frame. This reduced the f4 lenses to effectively f5.6. Very recently I reluctantly sold my XPAN. However it sold for practically my original purchase price and I put that money into Sigma Art 14mm and 24mm lenses for my Canon 5D4. I still love film and still have my 2 mint TLR Rollies from mid 1950s. I have an XPAN II which I do not use all that much, but I’m keeping it. I had the 30mm lens for it and sold it off because I didn’t use it much and now regret that decision. Lesson learned – that’s why I’m keeping the XPAN II and 45mm lens. If you really want to see what the XPAN and 45mm lens are capable of, get on Amazon and pick up a used copy of “A Festival of Lights” by Giraud Foster. Published in 2004, Foster’s imagery forever cured me of any desire to sell/trade my XPAN. His work is truly inspiring.